Well hello to you my reader chums! If you've been following me for a while then you'd know Garnier's micellar water is my main skincare stable so when I saw Boots were stocking a 'gel wash' version, I had to pick it up. Initially, I wasn't sure what to expect of this product, whether it would exceed expectations of my beloved micellar water or not. I've trialled it when washing my face without makeup and for taking light/ heavy makeup off to see how it played out. It goes without saying, a gel wash with a pump is so much easier to use than a squeezy bottle tube. I find with this gel wash, you're able to pump the correct amount of product out without wasting any or creating spillage. When I first used this face wash, I was quite surprised of the watery texture and thin consistency. Once pumped onto your hands, it'll run over your fingers if you don't lather it straight away. However, after lathering it up and using circular motions on the skin, it feels incredibly soothing. The thin consistency works well as you're able to work it into more areas of the skin. The product is fragrance-free which is not only good for those with sensitive skin but it means you're not putting additional chemicals onto your face. During application, as there's no scent it smells very fresh and clean which in turn does the job it was designed for. I tested this out for two different makeup looks, my everyday light, face makeup and also on a heavy-duty eye look. For the face makeup, the wash worked well, taking off the makeup layers from my skin and leaving no additional product excess. However, I found for eyes it wasn't so successful. I'd rub it in and afterwards, it would leave either eye shadow or mascara residue with my eyes feeling quite sore. I wouldn't recommend using it for eyes especially if yours are as sensitive as mine even though it claims it's also designed for this purpose. I couldn't fault this. Whether on makeup free skin or used as a makeup remover, the face wash once washed off, always leaves the skin feeling fresh and fully cleansed. The gentle fragrance and thin texture doesn't feel too tough on the skin and does the job with a full clean finish. With the fresh cleansing ability and as a scent free product, I couldn't say a bad word about it. However, I wouldn't say it's the best product to wash off heavy makeup and prefer to stick to the classic 'micellar water' for that task. Yet, for an everyday face wash and light makeup wear, the product works a treat, rubbing off every inch and leaving your skin clean as a daisy. 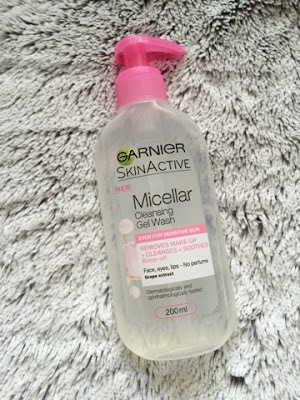 I hope you enjoyed this review of Garnier's micellar face wash. Have you tried this product? I've been thinking about getting this for a while. I haven't even tried the original! 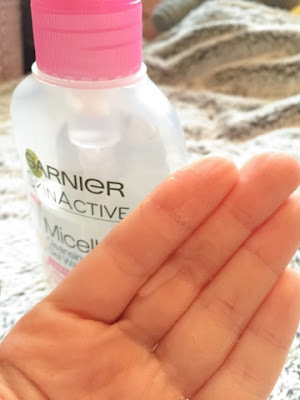 I love the micellar water so definitely need to try this out! I've not tried many of Garnier's products but this sounds like one I'd enjoy! I don't usually wear very much eye makeup (I'm an eyeliner-only kinda girl!) so I'm sure this could remove my minimal looks hehe! 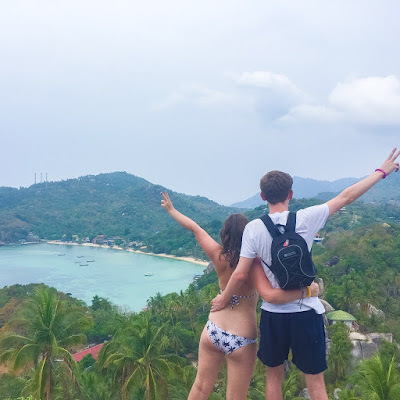 I love your friendly writing style in this post, it's fab! I'm on the lookout for a new face wash so I'll definitely try this out! I love the micellar water and so will have to try this one out too! I've always wanted to try this. It was such great reviews! I love these types of bottles. Like you mentioned, so easy to use compared to the squeeze ones. I've been meaning to pick this up to try but keep forgetting. I must try and remember next time. It's a shame it didn't take off you eye makeup like you hoped, but to be honest I prefer using it after my shower just as an extra step in cleaning my face. 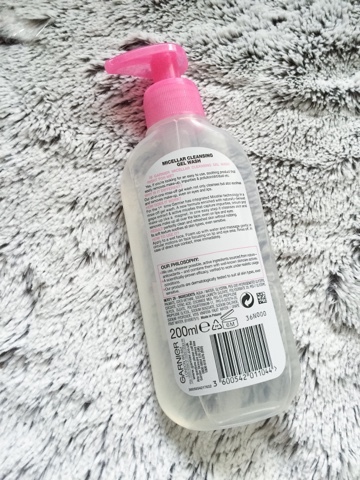 When I saw this doing the circuit I was so excited, the micellar water is my absolute favourite! I've not had chance t pick this up yet but I definitely need too - your review is great and so detailed! I'm not sure how it'll compare to my trusty neutrogena!